If you're living with hair loss, it can affect your self esteem and make you unhappy with your appearance. NeoGraft® hair transplant is a highly effective way to get back the hair that time, stress, and other factors may have taken away from you. Ritz Med Spa in Franklin, Tennessee, offers NeoGraft hair transplants for patients who are looking for a fresh start with a new head of hair. Get your head of hair back by scheduling your appointment with Ritz Med Spa today. NeoGraft is a hair transplant system that uses high tech follicular unit extraction. NeoGraft is an automated hair transplant system that allows for superior precision during transplants. It's the first hair transplant system of its kind to be granted FDA clearance. NeoGraft uses your own healthy hair follicles, taken from a donor area where hair grows well, to replace the follicles that are no longer producing hair. Whether your hair loss is genetic, age related, or has another cause, NeoGraft can help. If you're seeking a natural looking hair replacement solution, you may be very pleased with NeoGraft. Older hair transplant systems left scarring on the scalp, which could mean you'd have telltale signs of the transplant for months afterward. NeoGraft leaves no scars and gives you a natural result. Another big advantage of NeoGraft is that it causes very little pain, especially when compared to other hair transplantation techniques. Anesthetic is used to keep you comfortable during the transplant. Since NeoGraft requires no incisions, you'll heal faster and experience much less pain. What is the NeoGraft Procedure Like? First, you'll receive a local anesthetic in the treatment area. Once you're properly numbed up, individual hair follicles are taken out of the donor area (an area like the back of the head.) Because every follicle contains three or more individual hairs, just a small quantity of follicles need to be targeted. For large bald areas, more follicles must be treated. Once removed, the hair follicles are placed, one at a time, into the treatment area. Because the transplanted hair follicles are your very own healthy follicles, they'll match the surrounding hair well and will be healthy and hardy. The cost of NeoGraft varies widely, as each patient's hair loss is different. The price is calculated based on the number of grafts that are needed. In general, minor hair loss in a small area is much less costly than total hair replacement in a large bald area. 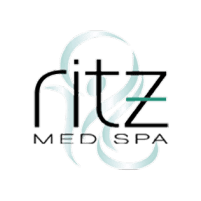 The team at Ritz Med Spa is happy to assess your needs and discuss the cost of a NeoGraft treatment plan with you.